Paula Fleri-Soler takes a behind-the-scenes look at Juliet, Naked. Nick Hornby is an award-winning author and Oscar-nominated screenwriter. Many of his acclaimed novels have been adapted for the big and small screens, including 2000’s High Fidelity; 2002’s About a Boy and 2005’s Fever Pitch. The former music critic for the New Yorker, Hornby is known for weaving his passion for popular music and its fans into his stories, as is the case with Juliet Naked, his latest novel to make the jump to the big screen. The 2009 novel is an exploration of romantic attachment and disillusionment, featuring a retired rock musician now living in seclusion, hiding from his own unbearable success. 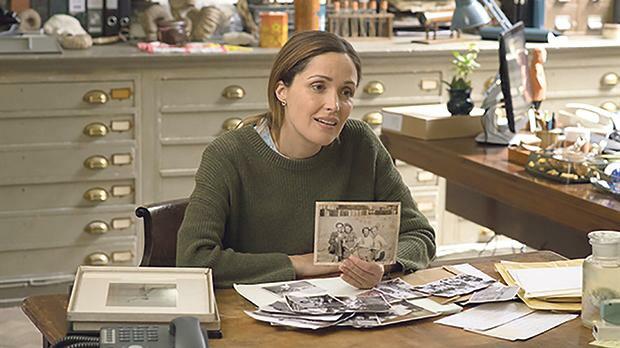 Starring Rose Byrne, Chris O’Dowd, and Ethan Hawke, the story introduces us to Annie (Byrne) who is stuck in a long-term relationship with Duncan (O’Dowd). Duncan is an obsessive fan of obscure rocker Tucker Crowe (Hawke); and when the acoustic demo of Tucker’s hit album from 25 years ago surfaces, its release leads to a life-changing encounter with the elusive rocker himself. Although Juliet Naked is in essence a romantic comedy about seizing second chances in life, the story hinges very much on the discovery of the famous record – the catalyst for what unfolds next. So when it came to creating the soundtrack the filmmakers faced a massive challenge: How do you create what is purportedly a legendary album from scratch? The novel offered few clues to what the music on Juliet might sound like, so the filmmakers were starting at zero. Working with music superviser Marguerite Phillips and composer Nathan Larson, the film’s director Jesse Peretz sent out a request for songs – and more than 130 were submitted. “There were a number of real music nuts involved in this and it became a hot-button issue,” says producer Albert Berger. He confesses to a personal obsession with music, while Peretz, apart from an extensive directing career in both film and TV, was a founding member of the alternative rock band he Lemonheads; Furthermore, another of the film’s producers, Judd Apatow, is known for using music to great effect in his films, so selecting the music brought out strong opinions during pre-production. Eventually a selection of songs written by illustrious musicians including Robyn Hitchcock, Ryan Adams, Conor Mullen Oberst and others were chosen. Fully produced and stripped-down acoustic versions then were recorded with vocals by Hawke himself. Pretty much making it a character in its own right.